Prom season is in full swing, which means a whole lot of incredibly sweet stories are going viral. 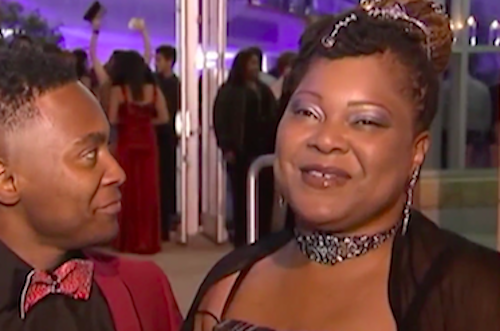 But this one is going to be pretty tough to beat: A North Carolina teenager took his mom to prom because she didn’t get to attend her own. Shontelle Howard-Moss missed prom because she was pregnant with her son, Rayquan. Shontelle encouraged her son to take another teenager as his date, but he wouldn’t hear of it. We’re not crying — it’s just raining in here.